That means it's in use... you're trying to connect the IAB's I take it, doesn't the EX/SE have IAB's on it's intake already? Just use the wire already in your engine harness if that's the case, no need to run extra wires if the factory did it for you. But there's one more thing and i know i'm not the only one with this problem. I have the pigtails and everything for the sensor. My question is: is there any wiring Diagram that i can use to wire the h22 Map Sensor To the stock CB Map sensor Wires? I know most people just leave it as is,but i'm just trying to do this right. The M.A.P. sensor has three wires, the wire colors have stayed pretty consistant throughout Honda's vehicles. Hopefully that will help you out somewhat. I'm sorry but I don't have a 5th Gen Lude service manual. If I did I could give you the exact colors. Yeah I've also found that doesn't work but I haven't had an oppurtunity to work an auto car with time to find out exactly what needs to be done. I enjoy troubleshooting things like that and figuring it out but without a car to tinker with I can't help, lol. if you were close,i would let you use my car. im about to do the H22A swap into my CB7 also...i was just wondering, so the H22A exhaust manifold wont bolt up to my stock downpipe on my EX? To prep the wiring harness, there's enough soldering to kill half your brain cells and plenty of work to stress out the survivors. Hasport also makes one that's plug-and-drive. If you go the easy way, you'll get a modified Accord harness and a separate subharness, which connects the unique VTEC guts to the H22 ECU. To tackle it yourself, get the two engines side by side, add a tasty beverage and get familiar with these mods. ·The oil pressure sender wire, while still using the Accord plug, gets extended 5 inches to reach the H22's sender. ·The electronic air control valve is located near the middle of the fuel rail on the H22 rather than near the throttle position sensor on the F22. To accommodate, the EACV plug and its yellow/black and blue/yellow wires get moved to the center of the injector harness. ·The vehicle speed sensor plug gets moved from the front to the back on the engine, near the O2 sensor plug. Same wires, different location to fit around the H22. ·Because the distributor is closer to the coil on the Accord vs. the H22, the coil, EGR, and fan switch circuits need lengthening. While on the EGR wires, change the connector from the Accord's 3 pin square connector to the Prelude's round one. You can keep the same pins, but swap out the plastic connector. ·The intake air temperature sender is located at the end of the intake manifold on the H22 vs. the middle of it on the F22. Extend its red/yellow and green/white wires to fit. · If your car didn't come with VTEC, you'll need to add the wiring for the air intake bypass (AIB), knock sensor, VTEC oil pressure sensor and VTEC solenoid. If your car was an EX, you will only need to add the wiring for the IAB and the knock sensor. ·The knock sensor circuit (red/blue), which isn't there on the stock F22, is added at the same break out as the oil pressure sending wire by using the pigtail from the Prelude harness. This wire connects to the subharness and then to ECU pin D3. ·The H22's AIB circuit that opens the short, high-rpm runners in the intake manifold also gets added by tapping the black/yellow wire from the H22's plug to the same color wire that goes to the distributor in the Accord's harness. This simply supplies power to the AIB solenoid. The pink signal wire goes from the AIB solenoid back to the subharness/ECU at pin A17. ·The VTEC oil pressure switch wiring will already exist on Accord EXs, but the rest of us need to add the circuit. The plug from the H22 and its light blue wire gets routed to pin D6 on the ECU. The black/red wire from the switch goes to ground. 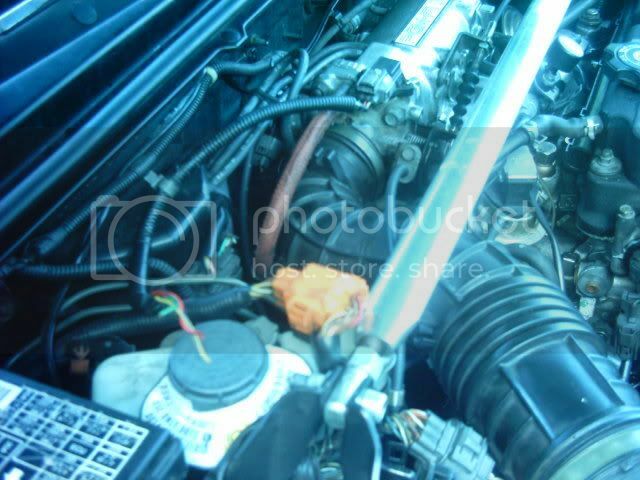 ·To hook up the VTEC solenoid, connect its green/yellow to pin A4 on the ECU. 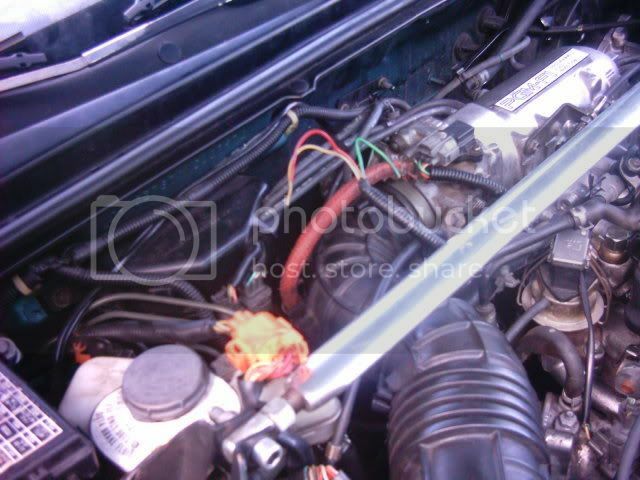 ·In a futile attempt to throw us off, Honda switched the EGR solenoid valve wire and the O2 sensor heater wire on the ECU's A connector (pins 6 and 11) on the Prelude as compared to the Accord. Swap these two pins in the under-dash connector and thank the engineers for their effort. Above post is for 5th gens, I would assume, due to the location of several components. This also has the listing for the not so common P2T4 transmissions some people get with their H22 swaps. 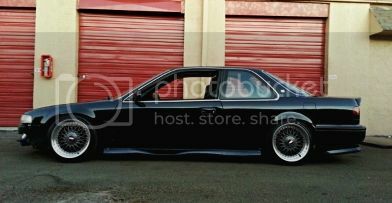 If you manage to get one of those, you have a true H22A accord heart! Booo to the M2 series! Last edited by Warudakumi; 11-05-2007 at 01:57 PM. Oh i'm trying to find information on the P2T4 gear ratios. What would be sweet if they come with short gearing like a Euro-R T2W4 and a gas saving 5th gear since it's a accord transmission..... updates soon as I find out more information. Location: on the B-Lock with the G-Lock C-Ocked! Lovin' the 6MT w/ Nav TL! "They Aint the REAL McCOY!" Oh wow that is really similar! How is it on the freeway in 5th? What rpms are you sitting at around 65,80? Do you happen to know whether the transmission has the same ratios as a h23? If I do swap my h22 back in, i thought about using a h23 or f22b transmission since most places sell them for only 250-300 which isn't that bad. Lots of good information on this thread. You also may want to list the m2j5 as the same fd as the Accord while the other two are not. use whichever fuel rail works, the USDM f22 and h22 rails are the same, but JDM ones have the fuel fitting on the opposite side. Just use whatever works, and use the h22a's injectors and sensors... If your new motor is JDM, youll most likely need to reuse your old fuel rail. mines has it on the opposite side (its a 97 H22). so I can use my F22 rail even though mines an OBD2? If your car came equipped with an internal coil then the JDM H22 distributor will plug right in no problem. However, if your car had external coil then you will have to modify one plug. The plug you will need to modify is the plug that went to the stock coil. There are is a yellow and a yellow/black wire, splice those 2 wires together. The Black/White wire is useless, don’t worry about it. If you dont want to cut the plug off and splice, jam a 30amp fuse into the end of the plug, making the connection between the two wires. If your car is external coil and you wish to maintain the external coil you will need to open the JDM dizzy, remove the internal coil. Run the wire from the igniter that used to go to the internal coil out of the distributor and plug it into the blank spot on the distributor’s plug. That’s it. Use the 93-95 Prelude Vtec’s Distributor cap and rotor that you can pick-up and your local dealer or auto parts. wow thats confusing me. so my 97 H22 dizzy came with an external one. so can I swap out some stuff from my 93 CB's external dissy? like the internals/cap/rotor?